This is another effort on the part of FINRA to portray them as something they are clearly NOT- an organization acting to protect investors. The public needs to be reminded that FINRA is a trade association. It is primarily funded by its members, the thousands of registered broker dealers located throughout the country. The organization is dominated by the few major broker dealers and FINRA actions can be counted on to protect the best interests of those members. 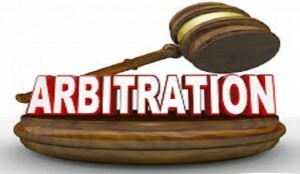 If a sitting arbitrator were to refer a case to FINRA enforcement during a hearing that arbitrator would likely recuse him or herself or be removed by the director from continuing as a part of the ongoing case. The claimant would then be deprived of having an arbitrator, who clearly sees wrongdoing by the broker, hear the case to conclusion. The case would have to continue with only two arbitrators or a replacement would have to be named, and given FINRA’s record when it comes to “cram down” arbitrators, the new appointee would likely be industry oriented in their thinking. If the original arbitrator were allowed to continue after making a referral, the chances of a successful appeal by the broker dealer would be greatly enhanced. In short, the new rule allows FINRA to look like they are seeking to aggressively protect the public while, in truth, they are depriving aggrieved investors of any semblance of fairness. The additional cost, time, effort and emotional trauma this rule would impose on investors is unconscionable. The effort serves notice yet again that FINRA should NOT be allowed to be the only avenue for abused investors to seek relief. To learn more about Dale Ledbetter, visit him at www.dlsecuritieslaw.com.